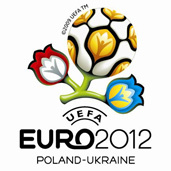 ﻿ EURO 2012 » A scandal with the stadium in Kiev for Euro 2012! Delay and theft. EURO 2012 > Infrastructure > A scandal with the stadium in Kiev for Euro 2012! Delay and theft. The construction of the stadium is delayed and the money for it stolen – announced a select committee appointed by the Ukrainian parliament to investigate the uncertainties concerning rebuilding of the final arena of Euro 2012. The head of the select committee, Rawil Safiullin has no illusions. – Everything points to the fact that the money is stolen – said Rawil in the Ukrainian newspaper “Today”. According to him, millions of ‘hrywien’ which flow from the country’s budget spreads “somewhere” on its way. Last year, the main contractor promised to build the stadium in July 2010 for 1.5 billion of ‘hrywien’ – says Safiullin. Now, it appears that until this time there will only be prepared a project documentation. The final cost of the stadium is still unknown although the government devoted to the construction 2.114 billion of ‘hrywien’. We are dealing with the apparent theft of public money! The head of the select committee called for quick laying off those people who are responsible for the supervision of investments. He added that they are responsible for the delay and abuse. – Otherwise we may lose Euro 2012 and it will be a shame to the whole world!. This is not the only problem of the hosts of Euro 2012. In fact, the country still does not have an accepted plan of preparations for the championships. – The plan is not yet ready, there is no a settled position as to the amount of means that we can be devoted to the preparations – confessed Minister of Economy Piotr Krupko to ‘Dieło’. In particular the focus is on the variations in the construction and modification required by UEFA 135 hotels. And without that, as previously warned the head of UEFA , Michel Platini, Euro 2012 in Ukraine can not take place.